We like to share the way we perceive the world and how we participate in the global transformation process. Here you can learn about the 3 cornerstones of the Physis Foundation, which are: Humanitarian Aid, Research and Awareness Raising. 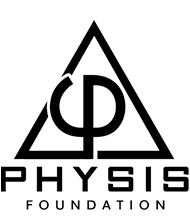 The Physis Foundation transcends the current paradigm in life science. Discover our point of view! The perspective of the PHYSIS Foundation member’s reality is primarily influenced by their scientific background as well as personal experiences. Furthermore, their understanding is not predicated on any religious believe or dogma. Although the very base of the way they see the world and the universe is scientifically based, spirituality is not a contradiction. In contrary, the PHYSIS Foundations members are convinced that a post-cartesian understanding of matter is perfectly coherent with spirituality. We are looking forward to cooperate with like-minded individuals and organisations. We are interested in new concepts in life sciences. The Physis Foundation has a particular focus on new approaches to treat epidemic diseases, especially in new treatments for Malaria. This is due to the reason, that all members of the foundation had contracted malaria. As personal experience has shown and preliminary data suggest, there are new promising concepts to treat Malaria. Such innovative ideas may have the potential to improve significantly the quality of lives of millions of people suffering from Malaria. We support humanitarian projects in Central African Republic (CAR). Eva and Klaus have lived several years in CAR. They know quite a lot about the situation on the ground. The implementation of western approaches is often associated with huge difficulties on many different levels. Since information obtained from the mainstream media is very often of little significance. We are convinced that a permanent dialogue with the people on the ground is the only way to learn about the realities the locals are facing. We are particularly interested in Autophagy. In contrast to the concept of oxidative stress as a purely negative influence on the intracellular environment, todays research shows that molecules with oxidative properties are crucial elements in regeneration. Reactive Oxidative Species (ROS) are generated through physical exercise or by fasting and autophagy. Our hypothesis is that autophagy can also be triggered pharmacologically resulting in a better defense of the organism. Hence, upregulation of autophagy on a pharmacological base could be an approach to treat some infectious diseases, including malaria. Our third objective is to participate in a new understanding of living systems. We try to contribute in the evolution of a post Cartesian view of life and human potentials. It is an ancient philosophical epiphany, which quantum physics is teaching us today as well, but widely ignored by western physicians, biologist, medical doctors and actually the majority of the academic world that consciousness changes matter. Still we need to expand our understanding of the higher correlations to really see the many options we truly have. This understanding can bring us a whole new set of tools that we can use to bring sustainable solutions and enduring health and well-being to the people. We try to raise awareness by going to schools and giving seminars. The Physis Foundation contributes in the development of a systemic view of life, where living organisms are perceived as autopoetic systems integrated in dynamic networks. The qualities and potentials of living organisms depend on their complexity and interconnectedness with their environment and their internal realms. The human being is seen as an entity with physical, psychological, social, ecological and spiritual qualities and needs. The worldview created by Western science and dominating its culture is not compatible with the notion of spirituality. In a post Cartesian world view spirituality is an integrative part. The human nature is not limited to a purely physical, emotional or social entity integrated in an ecological context of a time space continuum, but has the ability to transcend into transpersonal realms. Transcendence is an emergent property of humans. Evolution on a spiritual level is the imperative of the human experience.